Just as the Doctor regenerates every few years so does the TARDIS. The time traveling blue box explodes in the teaser for Doctor Who Season 8. The last time the TARDIS exploded was during a crash landing by the Tenth Doctor (Matt Smith). The TARDIS redecorated itself to include a multilevel console room. 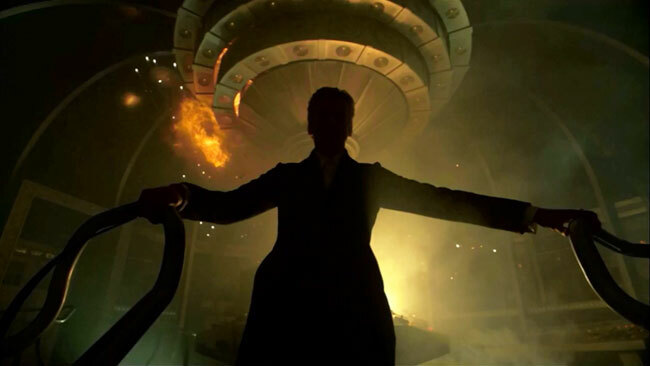 “The new Doctor lands this August,” the teaser confirms. The TARDIS has recently returned to a more sterile and angular console similar to the original. The only thing missing are iconic roundels on the walls. The series has come full circle for the 50th anniversary. The Doctor’s regeneration cycle has been reset by the Time Lords. This older Doctor will also be joined by two schoolteachers just like the First Doctor. Jenna Coleman will return as Clara along with newcomer Samuel Anderson as Danny Pink, a fellow teacher at Coal Hill School. All we need now is the Doctor’s granddaughter Susan.